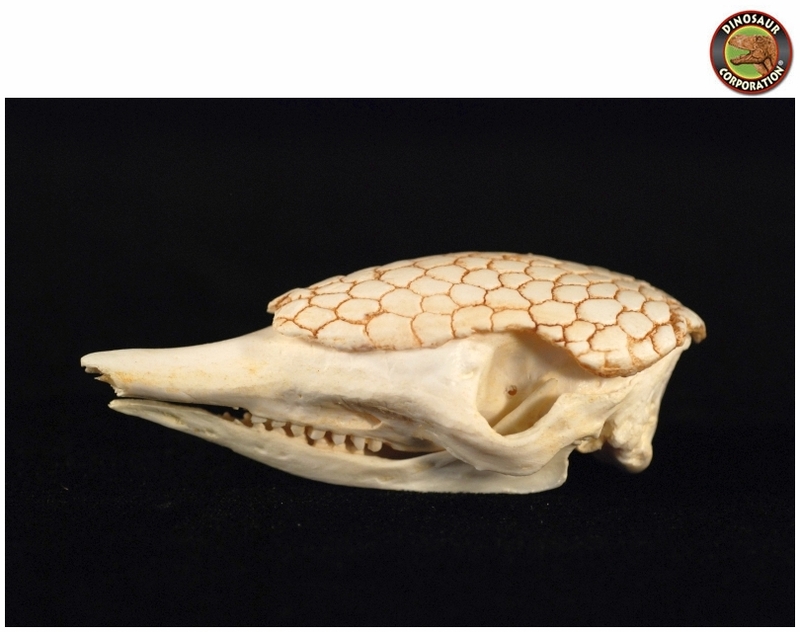 Nine-Banded or Long-Nosed Armadillo Skull. Dasypus novemcinctus. Large Skull and Carapace. Polyurethane cast private collection. Nine-Banded Armadillo (Dasypus novemcinctus), or the Nine-Banded, Long-Nosed Armadillo, is a medium-sized mammal found in North, Central, and South America, making it the most widespread of the armadillos. Nine-Banded Armadillos generally weigh from 2.5�6.5 kg (5.5�14.3 lb), though the largest specimens can scale up to 10 kg (22 lb). They are one of the largest species of armadillos. Head and body length is 38�58 cm (15�23 in), which combines with the 26�53 cm (10�21 in) tail, for a total length of 64�107 cm (25�42 in).